The foliage is turning, the nights are getting cooler, yard signs are popping up, and campaign fliers will soon land on your doorstep. It’s election season and the Blue Line is again bringing you the Community Questionnaire, candidate profiles, and other goodies to help you make your voting decisions. If you find the election coverage useful, please consider supporting the Blue Line in one of the ways listed at the end of this letter. Before the Blue Line compiled the first Community Questionnaire in 2011, City Council candidates received questionnaires from dozens of separate organizations. Their answers to those questions were then posted at dozens of separate places, if they were posted at all, making it very difficult for voters to get a comprehensive view of what a candidate is all about. In 2011, the Blue Line launched an effort to simplify the questionnaire process for candidates and voters, combining the questions from the dozens of organizations into a single, online survey available to all voters. 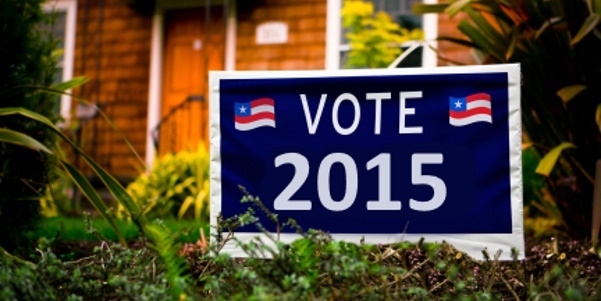 This election is the third for which we’ve compiled and hosted the Community Questionnaire. 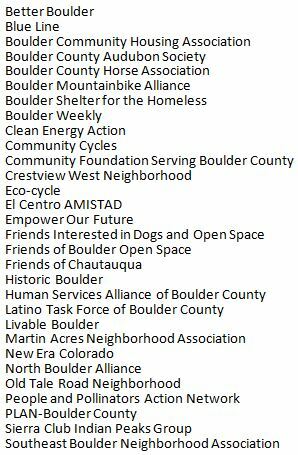 The Community Questionnaire exhibits the best of Boulder: it is the outcome of genuine collaboration among dozens of organizations, including many which advocate opposing positions. It is to their immense credit that they see the value of a common questionnaire accessible to the voters, even if it means that some of their questions don’t make it into the final list. We’ve posted links to these community-minded organizations. Please take a minute to visit their websites and find out what their issues are. Thirty local organizations sent in about 140 questions, which were then whittled down and edited with the expert help of former Daily Camera editorial page editor Erika Stutzman into the questionnaire for the candidates. The questionnaire was posted online for the candidates on September 4th and was closed on September 17th. All but three of the candidates submitted responses. The responding candidates clearly put a lot of thought and care into crafting their answers. If you want to learn more about their positions on the issues check out their websites listed on our election page. Click on the query image above, or this link (http://www.boulderblueline.org/election-2015/#query) to review the candidates’ answers. Whereas the Community Questionnaire tells you about the candidates’ stances on the issues, the candidate profiles tell you about the candidates’ lives. We are very excited to have former Daily Camera reporter Brittany Anas on board this year to interview the candidates and write the candidate profiles. This talented and seasoned reporter brings both a depth of understanding of Boulder politics and a consistently high level of quality to her work—substantially raising the bar on our election coverage. Watch for her profiles to be posted on the Blue Line beginning immediately.